In a recent experiment, researchers at the Arizona State University and the National Science and Technology Center of the Chinese Academy of Sciences injected nanorobot into the bloodstream of mice. Researchers analyze the possibility of using nanorobotics for other health issues, such as unblocking blood vessels, conducting biopsies, and measuring levels of certain chemicals in inaccessible areas. Nanorobots have a size between 0.1 and 10 microns. The device is too small to add an element like an engine, chip or camera, but it works extremely efficiently under these conditions. Nanoroboites profiled according to DNA, such as those used in mice tests, have shown that they can accurately send small amounts of medication. 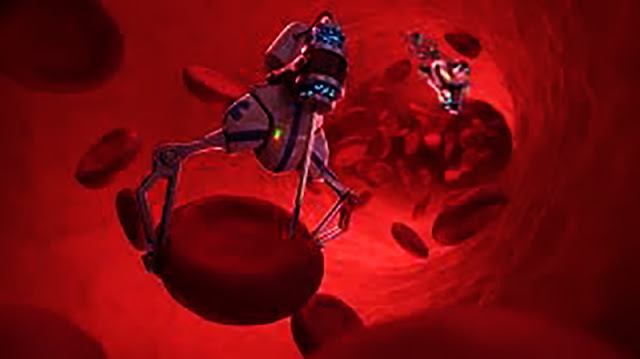 Before performing clinical tests, surgical nanorobots must overcome a number of obstacles. The biggest challenge is sending a nanorobot into a certain place in the body in the context of blood flow rate and frequency.